If you are planning a holiday and want to be able to do all kinds of great things, chances are it will be hard to find one place that has it all. Rather than rule out some of your favourite activities, choose a spot that’s close to everything, like Noosa. Basing yourself in Noosa will have you staying in a gorgeous place, while also being perfectly situated to take advantage of dozens of awesome sights and activities nearby. Check out some of these great advantages to using Noosa as your travel hub and pack your adventure full of all the things you want this holiday. Accommodation in Noosa is exactly the way your holiday sanctuary should be, luxurious, clean and relaxing, and you will not find more friendly or accommodating people than the locals in Noosa. Accommodation options here range from the high end to the easier to please, though whether you opt for the luxury resort or the quaint bed and breakfast, you are sure to be satisfied. After a big day of exploring, there is no better place to come home to than Noosa. Noosa itself is a magnificent area, with beautiful rain forest and stunning beaches, though you don’t need to go far to find something different. Less than an hour away is the Hinterland region, where you will find a classic example of sub-tropical Queensland. The drive along highway 23 between Mapleton and Montville is a highlight of the area and offers unmatched views of rolling hills unfolding to the sea. For something different again, get on the ferry and head out to the World Heritage listed Fraser Island. This little piece of paradise is the largest sand island in the world and a landscape unlike any other, if you are staying in Noosa, you really should make the effort to get to Fraser Island. 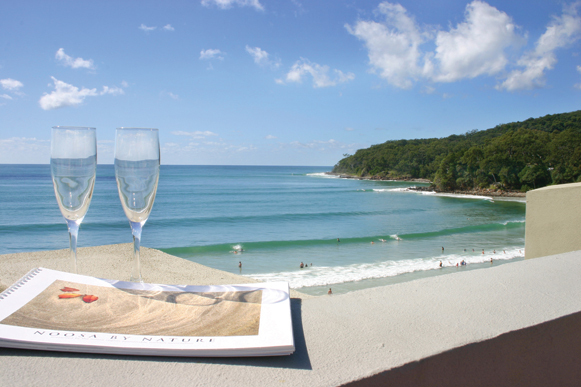 Basing yourself in Noosa these holidays will have you within striking distance of a massive variety of things to do. Noosa itself offers a lot, with horse riding, golfing, all kinds of water sports, and hiking to name a few options, though just outside Noosa you will find that your options become almost endless. You can go sky diving in Coolum, check out the markets in Eumundi, take a short drive to the Australia Zoo, or even head down to Mooloolaba and check out Underwater World. If you are missing the big city life, you are only an hour and a half drive from Brisbane so you can even head to the city, get your fix and still make it back to Noosa for sunset. If you don’t want to be bored on your next holiday, wishing you’d gone somewhere more exciting, head to Noosa. There is a huge variety of things to do both in Noosa and nearby, so it’s easy to keep busy and find that gem you are looking for. At the end of the day when you just want a nice place to relax, grab a good meal and find a nice place to watch the sunset, in Noosa, the only tough part will be deciding which place to choose.